Windows provide lots of benefits to your home. They not only allow you to look out and enjoy your surroundings, but they’re also an excellent source of natural light. 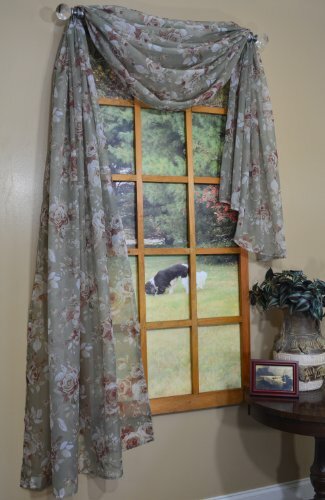 However, like other parts of your home, windows also need to be decorated. 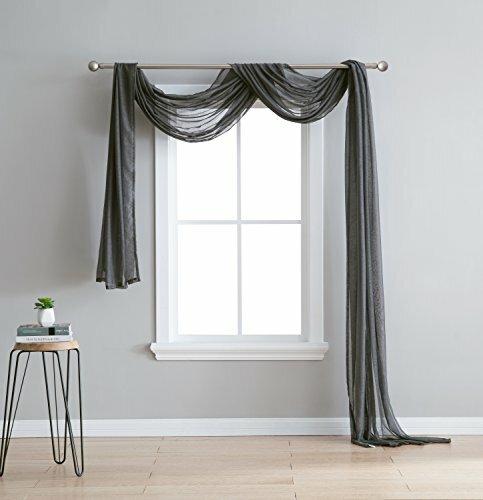 Window scarves can be an excellent option for window decor and they can work well in any room and on almost any kind of window. 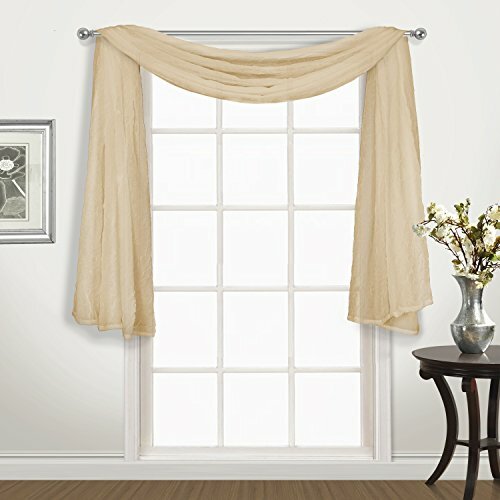 Although window scarves are technically curtains, they do differ slightly from the curtains you may be used to seeing. 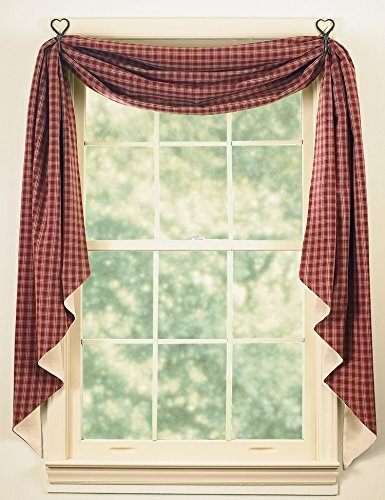 According to How Stuff Works, a window scarf is “a piece of material that simply hangs in front, or on the sides, of a window. 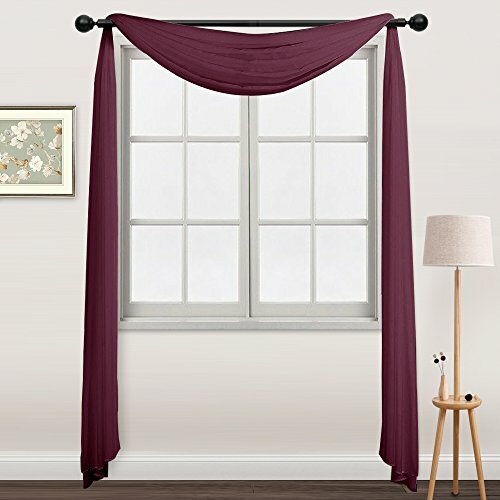 It’s not a very elaborate curtain, but it dresses up the window nevertheless.” Keep reading to see 10 beautiful window scarves for your home. This lovely window scarf has a design that is the perfect balance between casual and elegant. An item like this can be used in in a formal or casual space. 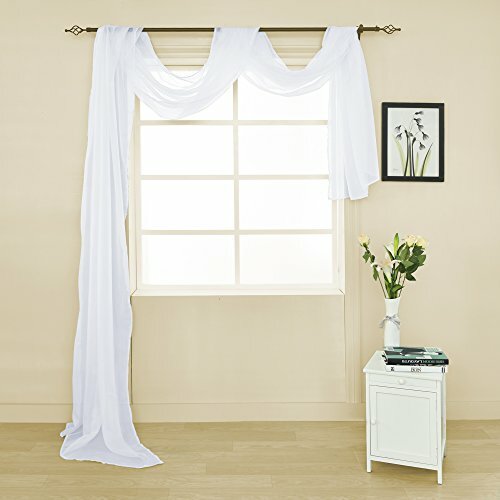 A nice white design makes this window scarf a nice and affordable option for formal living spaces. If plain window scarves just aren’t your thing, you may want to consider one with a pattern. This item is embroidered with beautiful leaves to add a little extra pizzaz. 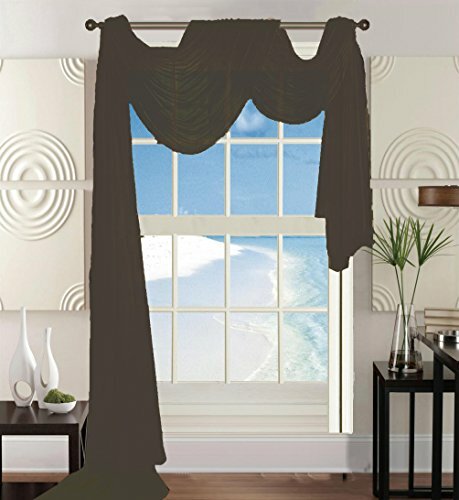 One of the best things about window scarves is that they can be draped to hang in different ways. You can adjust your window scarf depending on the look you’re going for. Pops of color can really liven up a space. 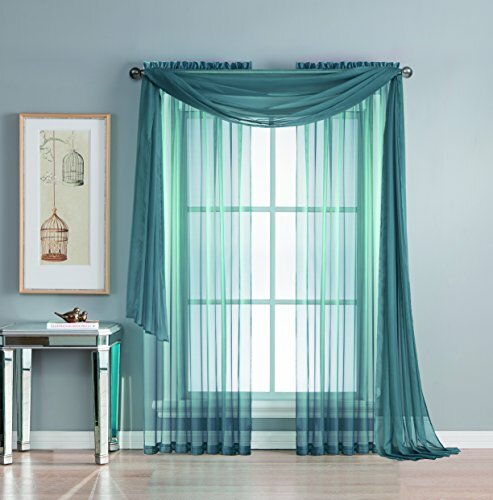 A window scarf can be a nice subtle way to incorporate a new color into your space. 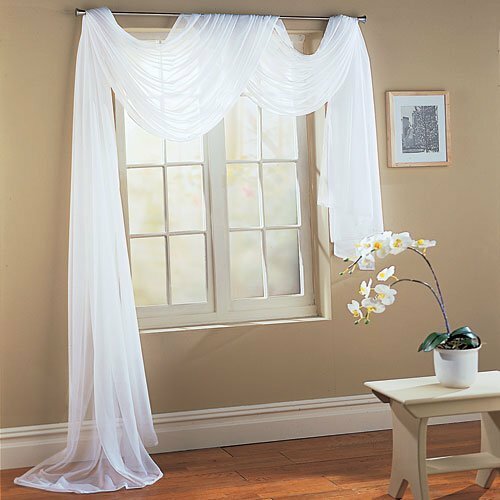 Made to allow “a gentle light flow” in your space, this scarf will still allow your room to retain some natural light. Machine washable and made from polyester, this scarf was designed to be durable and easy to clean. Inspired by 19th century New England, this beautiful window scarf has a classic look that can still blend well with contemporary style. 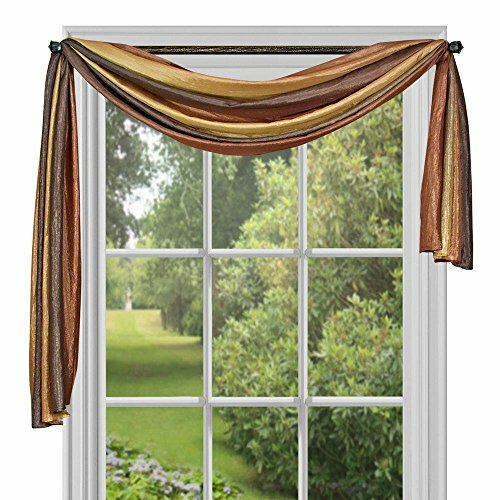 Beautiful in any room, this chocolate brown window scarf will be an attractive addition to any space. 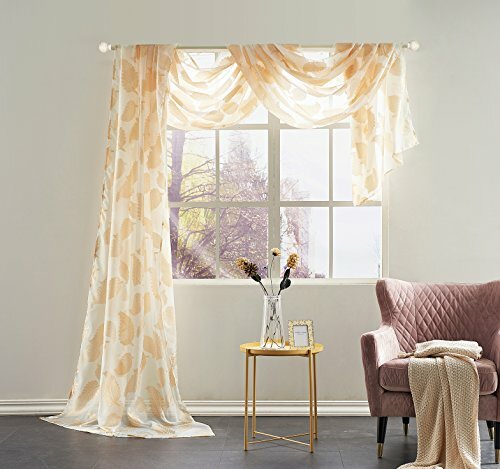 Attractive and practical, this window scarf, has a floral pattern that incorporates “the look of modern watercolors capturing each petal in still-life while our silky voile softly filters the light”.